Mormonism: A Scrutinized, Yet Evolving Faith The 2012 election shined a spotlight on the previously little-known religion of Mormonism. Many Americans have heard about the missionaries or baptism for the dead. But on the whole, the theology is shrouded in mystery. Mormons say their religion is often misunderstood because, unlike other faiths, it changes with time. 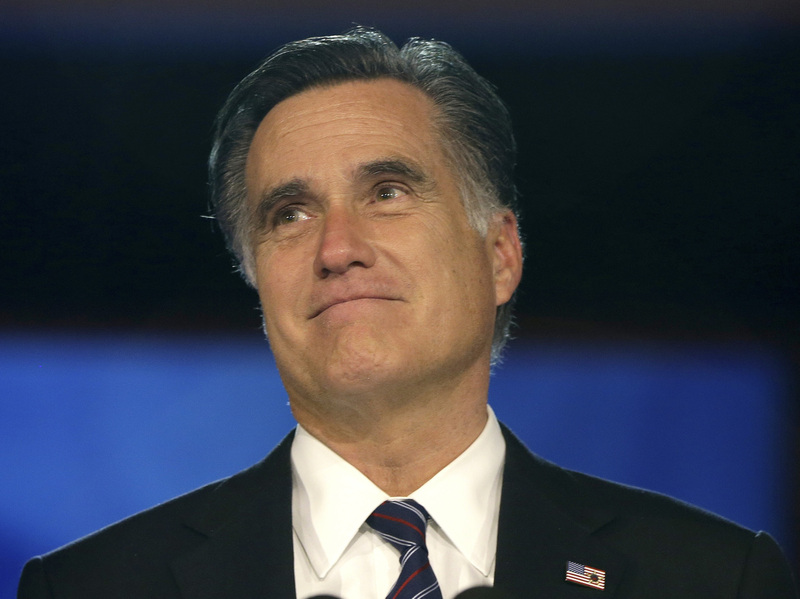 Mitt Romney refused to mix religion with politics in this year's presidential campaign, but that didn't repress people's curiosity about Mormonism. His candidacy brought the homegrown faith into the spotlight. Patrick Mason, a professor and chairman of the Mormon Studies program at Claremont Graduate University, says attention paid to his faith has been twofold. On one hand, it's been good for attracting new converts. On the other hand, it's turned Mormonism into something of a cultural punch line. "South Park is a great example of this, The Book of Mormon musical is a great example of this, where people say, well, with increased attention comes increased scrutiny," he says. "And there are parts of our past that people just won't understand." Mason says many people are skeptical of the church's origins, which involve the story of an angel directing Joseph Smith to golden plates and revealing a new Gospel. Many people are also dubious about claims that God lives on a planet named Kolob, or that people can become like God. And yet, he says, many Americans don't think twice about Jesus walking on water or God sending Jews manna from heaven, because those age-old stories have become part of the culture. "So the story of Jesus' resurrection is now accepted by the vast majority of Americans, but the story of Joseph Smith digging up gold plates or seeing angels is subject to scrutiny," Mason says. Mormonism is a new religion, less than 200 years old, which means many of its claims can be easily confirmed or denied by modern science. For example, even most Mormon scholars agree there's no archaeological evidence that Jews came to America in 600 B.C., as Joseph Smith claimed, or that the Garden of Eden was in Jackson County, Mo. 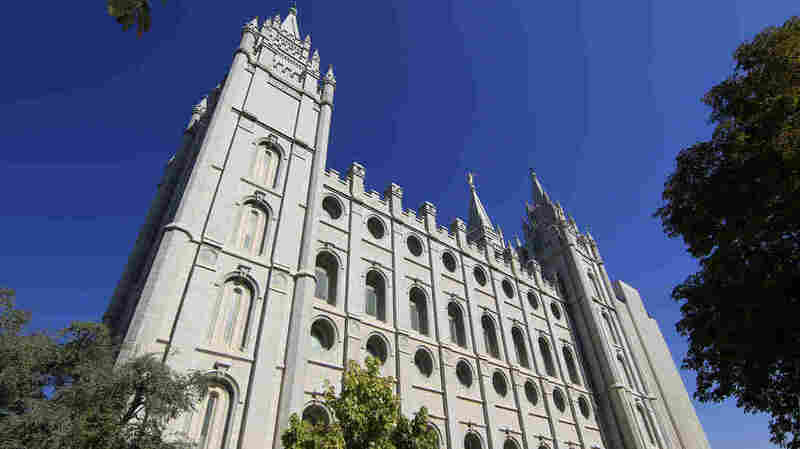 Faced with those evidentiary challenges, some Mormons have felt betrayed and left the faith. Many others, like Joanna Brooks, are trying to reconcile their religion with the science. Brooks, who's a professor at San Diego State University and author of The Book of Mormon Girl, says she focuses on the fundamentals, such as a belief in God, and in Jesus' role as savior. "Other sort of fine points of doctrine, I deal with privately," says Brooks. "And that's not uncommon in Mormonism." Mormonism has only a few non-negotiable beliefs. Unlike traditional Christianity, there are no Mormon creeds, no paid clergy, and no theologians who hammer out Mormon doctrine. For that reason, Matthew Bowman, author of The Mormon People, says many followers are fluid with their beliefs. "Theology evolves over time within Mormonism," Bowman says. "There is no pristine canon of theology laid down that is clear for everyone to go and look at if they have theological questions." So, how does Mormon theology evolve? On rare occasions, a revelation from God is announced, such as when the church ended polygamy and when it allowed African-American men to become priests. But usually, Brooks says, theological changes are made with no fanfare. "There are older stories that fade away and newer emphases that emerge," she says. "There's a very subtle evolution that happens over time with older doctrines dropping out at times." For example, church leaders used to condemn contraception, but now couples are told to choose for themselves how many children they want to have. And church leaders haven't mentioned the planet Kolob — where God is supposed to live — since 1978. "There's a cognizance today of what plays well and what will make Mormons sound strange," Mason says. "And certainly talking about God living on Kolob is something that sounds strange and is something you won't hear Mormons talk about very much today." Mitt Romney delivers his concession speech Nov. 7. Though he generally kept quiet about his religion, Romney's candidacy brought Mormonism into the spotlight. The most notable shift in Mormonism lately is in its branding to appear as just another branch of Christianity. For example, in an effort to mainstream the religion, a series of commercials features Mormons from all walks of life — daughters, journalists, doctors, beach surfers — who loyally profess their belief on camera. "I'm a husband, I'm a father, I'm an NFL football player," Chad Lewis says proudly in a commercial. "And I'm a Mormon." Kristine Haglund, editor of the journal Dialogue: A Journal of Mormon Thought, says if there is a central tenet of Mormonism, it is this: What you do is just as important as what you believe. "So, for instance, I can be a fairly liberal feminist, and it's OK; whereas if somebody saw me walking down the street drinking coffee from Starbucks, that would quickly make the rounds of the community gossip chain and be quite scandalous," she says, referring to the Mormon rejection of artificial stimulants, like coffee or tea. That principle of actions and beliefs weighing equally could explain Romney's rhetoric during the campaign. Instead of talking about what Mormons believe, he spoke of how his faith inspired him to help other Mormons. His campaign, Mason says, broke barriers the way John F. Kennedy's presidency did for Catholicism. "I think this election cycle is the culmination of what we've seen in Mormonism for the past hundred years," he says. "I mean, this is exactly what Mormonism has sought to achieve ever since it gave up polygamy and its political kingdom."